We’ve previously shown that building a smart home can be done on a tight budget The $400 Smart Home Starter Kit for the Budget-Conscious Beginner The $400 Smart Home Starter Kit for the Budget-Conscious Beginner Smart homes used to be way too expensive for most people,but now you can have a fully functional smart home for only $400! Don't believe us? Here are the products you need. Read More and still make a huge difference in your day-to-day lifestyle. And while cost is sometimes a major factor in smart home decisions, there is another issue: installation time. While we’d all love to have a handyman on call or to come home to a ready-built smart home, that’s definitely not the case for most of us. Since there are so many different types of devices on the market, you could spend a large chunk of time installing and getting each device ready to go in your home. But that doesn’t have to be the case every time. We’ve taken a look and found 10 well-built and easy-to-use smart home products that anyone should be able to install in less than 10 minutes. It’s showtime for Amazon’s popular line of Echo devices. The Echo Show Seeing Is Believing: The Amazon Echo Show Review Seeing Is Believing: The Amazon Echo Show Review Does a voice assistant speaker really need a touchscreen? The $230 Amazon Echo Show certainly makes a compelling case, with video flash briefing skills, song lyrics, and on-demand streaming of supported security cameras. Read More ushers in an important new feature: a 7-inch touchscreen. A perfect smart home hub and more, the voice-controlled device can tap into more than 14,000 available skills and services. You can do everything from ordering a Domino’s Pizza to watching a movie or TV show with only a voice command. After plugging in the device, you’ll need to select a language, enter Wi-Fi information, and then log in to your Amazon account using the screen. That’s it! You’re ready to go. Along with the responsive touchscreen, the 2-inch stereo speaker can fill up the room with music and more. Using a built-in camera, the Echo Show can even place video calls to other Echo Show units and anyone with the companion Amazon Alexa app for Android or iOS. While the Echo Show is great just on its own, it’s smart home functionality is also hard to be beat. 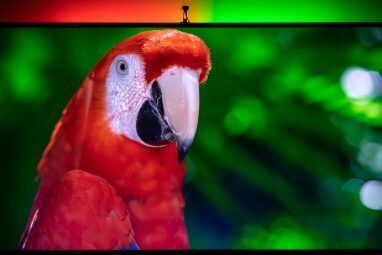 Along with being able to control a huge number of smart home devices with just your voice, the Echo Show can provide a live video feed from a number of different cameras. Overall, the device is a winner and should be the first step for anyone looking to start building a smart home that can be set up quickly. Until just a few years ago, setting up a home security camera meant a lot of wires and hours dedicated to setup and installation. But completely wireless security cameras have hit the mainstream market and make setting up your system a breeze. One of the best cameras to consider is the Blink Home Security Camera system. Along with using Wi-Fi, each camera is powered by two AA lithium batteries that can last for up to two years. When they sense motion, the camera will automatically record a clip to the cloud and provide a notification on your iOS or Android device. You can even take a look at the camera feed live. You can start with just one camera and add additional units later including a weatherproof version for outdoor use. 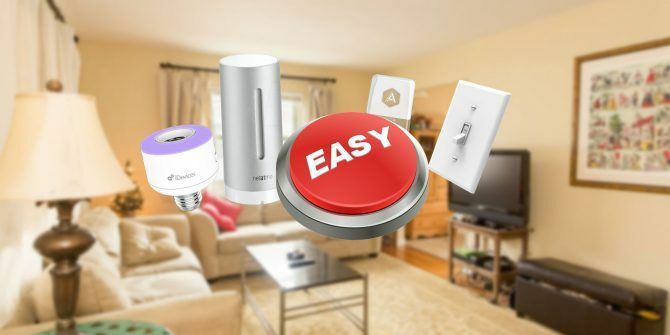 We’ve previously looked at how smart plugs can make your life easier 18 Ways Smart Plugs Will Make Your Life Easier and Safer 18 Ways Smart Plugs Will Make Your Life Easier and Safer Smart Plugs are a small investment that can make a big difference in your everyday life. Take a look at these easy and effective ways you could use them in your house today! Read More . And a big benefit definitely comes during installation. 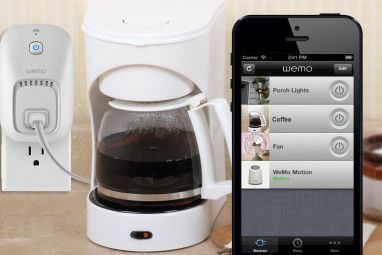 With Belkin’s Wemo Mini Smart Plug, you just need to insert it into an electrical socket, download the iOS or Android app, and you’re ready to go. Only requiring a Wi-Fi connection, you can control pretty much any device that receives power from a normal electrical socket like lamps, small appliances, televisions, and more. Using the app, you can schedule the switch to turn on and off automatically at a certain time or to sync it with the sunrise and sunset. While on a vacation, the Random Mode will turn lights on and off at different times to make it appear someone is home. The plug can also be used with Amazon Echo devices so a voice command can control the switch when needed. 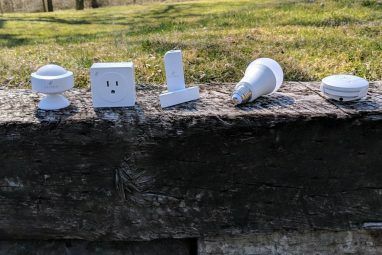 An alternative to a smart switch, especially if you’re looking to automate a lamp, is a smart socket that screws into an existing base. The iDevices Socket can support standard bulbs (including LED, CFL, incandescent, and halogen) up to 60 watts. Place it in the lamp and then download the iDevices Connected app for iOS or Android. Once you scan the unique code, setup is complete — there’s no need to enter your Wi-Fi information. Compatible with both Amazon Echo devices and Apple’s HomeKit protocol Getting the Most Out of Apple HomeKit and the iOS 10 Home App Getting the Most Out of Apple HomeKit and the iOS 10 Home App In this article, you’ll learn about the growing list of HomeKit-related products and how to control them. You’ll also see how to spot a compatible product in the marketplace. Read More , you can control each socket with a voice command as well as the app itself. Smart light switches are a popular upgrade for many homes, but installation isn’t exactly for the faint of heart. Depending on the age of your home, you’ll have to deal with a number of different wires and tools. And then there’s the small issue of correctly knowing how to turn the electricity off at the main breaker box so you won’t electrocute yourself. But there’s no need to worry about those issues with Switchmate. The device automatically snaps over an existing single-gang toggle or rocker light switch in just a few seconds using magnets. You’ll then need to download the compatible iOS or Android app to complete setup. Using Bluetooth, you’ll be able to control the light switch from up to 150 feet away. And the fun doesn’t stop there. It can be set to turn your lights on as you arrive home or enter specific rooms. You can also set the lights on a timer to turn on or off at a specific time of day. Each Switchmate uses two AA batteries that can last for anywhere from 8 to 12 months with normal use. Even your dog or cat can benefit from handy smart home technology. As you could probably guess by the name, the Petnet SmartFeeder makes feeding your furry friend a breeze. After plugging in the feeder, you’ll need to download the iOS or Android app. You’ll enter your pet’s age, weight, activity level, and the kind of food they eat and the system will recommend a personalized portion. The feeder can be set to automatically dispense that exact portion at a specific time of day. Or you can even tell Amazon’s Alexa to feed your pet a specific amount of food. The feeder holds up to seven pounds of food at one time, and the app will tell you when it’s time to refill the food. You can even sign up for a SmartDelivery service that will have their choice of food sent at specific times so you’ll never have to run to the pet store. Losing weight and adopting a healthier lifestyle isn’t exactly fun, but it’s something that most of us would probably like to accomplish. And technology, like the Nokia Body Cardio Wi-Fi scale Nokia Body Cardio vs. FitBit Aria: How Smart Weighing Scales Help People Lose Weight Nokia Body Cardio vs. FitBit Aria: How Smart Weighing Scales Help People Lose Weight Losing weight can be a frustrating and long-term process, so why not take some stress out of it by using a smart scale designed with effective and permanent weight loss principles in mind! Read More , can help your journey. Setup is quick and easy using the app, and you’ll be ready to go in just a few minutes. The smart scales can monitor a huge number of metrics including weight, body fat/water percentage, muscle/bone mass, heart rate, and pulse wave velocity (an overall indicator of cardiovascular health). All of the information is visible in the companion iOS or Android app that provides an overall look at your health and what you can do to improve. Up to eight different members of the family can be tracked, and there is even a special baby and pregnancy mode. Available in black or white, the scale is less than an inch thick and can be used on any surface. The rechargeable battery can last for up to 12 months on a single charge. The wonderful world of weather stations has also benefitted from the wireless revolution. The Netamo Weather Station is a dual threat that can track your indoor and outdoor environment. An outdoor module tracks the temperature, relative humidity, and air quality, while the indoor unit keeps tabs on temperature, humidity, air quality, and sound. It can even tell you when it’s time to air out a home. Completely wireless, setting up the system takes just a few minutes. After placing the modules in a specific spot, you can download the iOS or Android app where you will be guided through a few more steps. All of the data are presented in easy-to-read graphs and visuals. The system is even compatible with Amazon Echo devices, so you can just ask Alexa for the indoor or outdoor temperature. There are also optional rain and wind gauges available to purchase. There’s no need to shell out big bucks to get a new smart television in your living room. The Roku Streaming Stick How to Set Up and Use Your Roku Streaming Stick How to Set Up and Use Your Roku Streaming Stick So, you have bought a new Roku Streaming Stick and are wondering what to do next. We're here to help, with the complete guide to setting up your new Roku Streaming Stick. Read More brings a world of video to any HD set. Instead of a bulky box, the stick simply plugs into any open HDMI port and is perfect for on the go use. After a quick setup process, you can use the included remote to access more than 3,000 different entertainment channels including Netflix, Amazon Prime Video, Hulu, and many more. Using the companion Roku app for iOS or Android, you can search for content with a voice command and even listen to entertainment privately with headphones. For many of us, our car is a home on the road. And the Automatic Pro Gold is a simple way to bring smart technology to any modern vehicle. Compatible with most any vehicle made in the United States since 1996, the device plugs into an OBD-II port What Is the OBD-II Port and What Is It Used For? What Is the OBD-II Port and What Is It Used For? If you purchased a car after 1996, it probably has an OBD-II port. But what is it for, and how do you diagnose errors with it? Read More (located behind your dashboard, above the break pedal) for power. Once you plug it in, just download the Android or iOS app to finish the simple installation. There’s no need to worry about having a smartphone nearby to sync the information as Automatic provides free 3G cellular service for a 5-year period. With that feature, you can keep real-time track of where your car is and even where you parked. The unique Crash Alert feature will automatically connect you to trained responders if the Pro Gold detects a crash and will contact emergency services and even your friends and family. The device also connects to a number of smart home services like Amazon Echo and more. For example, if you have a Nest Smart Thermostat, you can automatically begin to heat or cool your home on the way home from work. With a little luck and just a few minutes of your time, one of these smart home devices can make your life significantly easier, more efficient, or more enjoyable. As you can see, easy to install technology comes in all shapes, sizes, and price ranges. Are you using any useful smart home products that can be set up and installed in just a flash? How are they working out? Let us know in the comments! Explore more about: Amazon Echo, Gadgets, Pets, Smart Lighting, Smart Plugs. If your smartphone is lost or stolen, these are all a bunch of expensive, useless gizmos. Plus, if your phone is stolen, somebody else gains control over all your 'smart' devices.